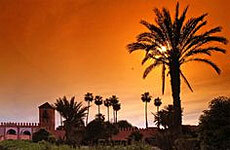 Africa, the second largest continent, is home to the longest river and the hottest desert in the world. The Nile River System is 6,650 km (4,130 mi) long and benefits eleven countries. The Sahara Desert covers almost one-third of the continent and is almost as large as China. 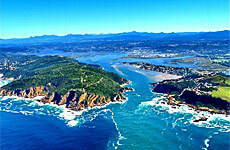 With its interesting geographical features and diverse culture it's no wonder that Africa is a top vacation spot. Travelers flock to Africa for its diverse climate, geography, and culture, from the marketplaces of Marrakech to the expansive wildlife reserves, national parks, and safaris of Kenya. 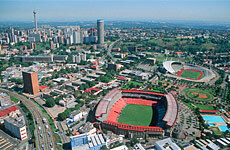 South Africa is a favorite among tourists. Table Mountain in Cape Town offers breathtaking views, and the diversity of fish, coral, and sea life draws in scuba divers. And don't forget about the penguins! 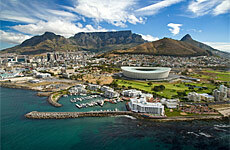 Cape Town is also perfect for wine lovers and foodies! Don't miss the surf culture in Durban, along with its Golden Mile beachfront and art deco architecture of the downtown core. 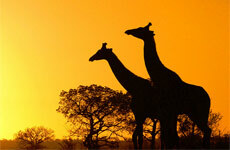 Kruger Park is perfect for the animal lover, being one of the world's greatest national parks and wildlife reserves. 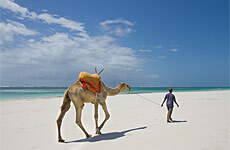 Zanzibar is ideal for the beach lover. You won't find a shortage of white sand beaches and turquoise waters there! 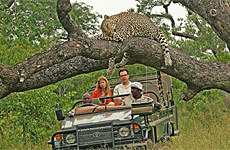 Whatever you are searching for, Africa is sure to have it!